Washing machine or domestic appliance problem? What happens when your washing machine, tumble dryer, dishwasher or cooker develops a fault? These complex pieces of technology are now essentials of everyday life but they are machines and they do go wrong. When they do, you want a fast repair you can rely on at a reasonable price. 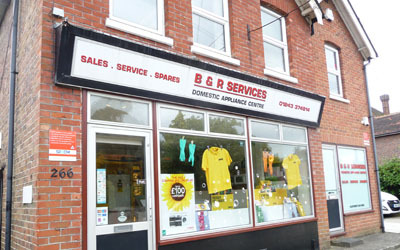 That’s why more and more people in Hampshire and West Sussex call B&R Services when their appliance stops working. Our experienced, manufacturer trained, engineers have the expertise to solve most faults quickly, efficiently and courteously. As well as washing machines, cookers and tumble dryers, they can also repair ovens, fridges, freezers, microwaves and vacuum cleaners. We cover all PO and SO postcodes. We keep an enormous supply of competitively priced, genuine spare parts in stock, so most repairs can be completed within one-two days. We are part of Service Force, a national network of manufacturer approved service engineers. We offer competitive fixed price labour costs and all our domestic appliance servicing and repairs carry a 12 month parts and labour warranty. Your safety is paramount to us. 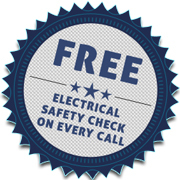 For your peace of mind, every time we work on an appliance for you, we will complete a free electrical safety test.